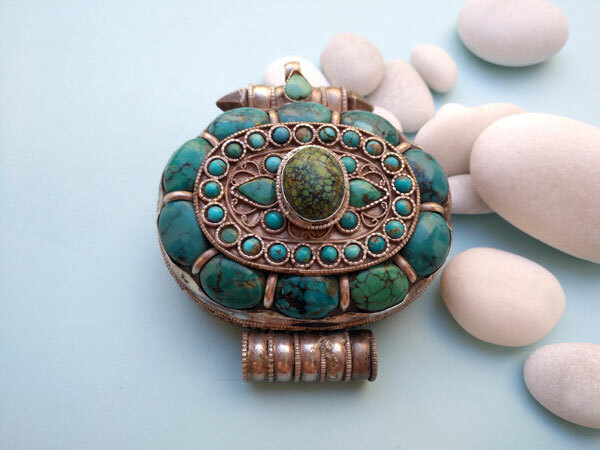 "Ga,u" Silver and Turquoises Ethnic traditional antique pendant from Tibet. 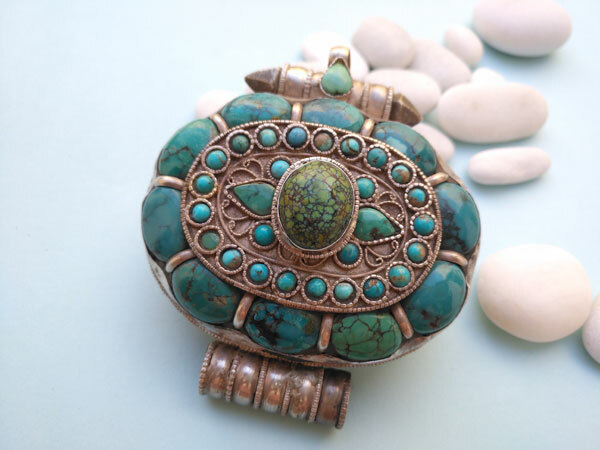 Ethnic traditional silver antique pendant from Tibet with excellent fine Turquoise gemstones. 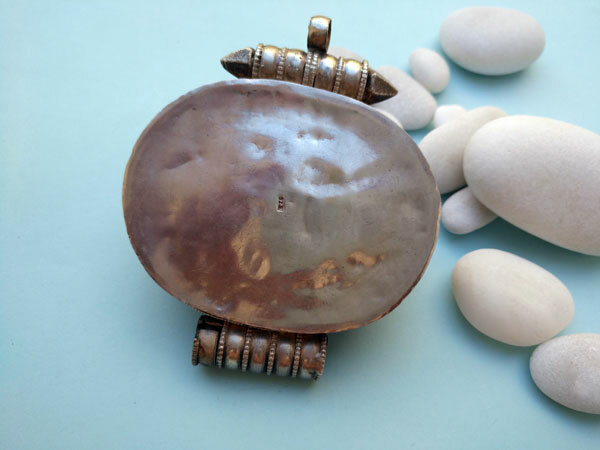 It is made in two parts to build a box to carry precious ritual amulets. Measures 3.8" high and 3.2" width.